Key opinion leaders (KOLs) are trustworthy, influential, and experts of a particular field in the healthcare industry. Relationships of a firm with these KOLs is of great importance to manage and build a strong healthcare profile. These key opinion leaders go a long way towards educating the scientific and medical communities as well as help in increasing awareness pertaining to the recent developments in the technology. Key opinion leaders can influence the perception of the stockholders of a company and aid in marketing strategies. According to the findings of this business intelligence study, the demand in the global key opinion leader management market will increment at a formidable CAGR during the forecast period of 2017 to 2025. KOL managers can provide all-round analysis of factors that can influence the demand for the products of a healthcare product manufacturer. Their performance can be assessed methodically and sales are sustained. This goes a long way for the company in maintaining a strong business model. Based on therapeutic area, the KOL management market can be segmented into orthopedics, ophthalmology, oncology, obstetrics and gynecology, gastroenterology, dentistry, cardiology, anesthesiology, immunology, hematology, endocrinology, nephrology, dermatology, urology, and infectious diseases. 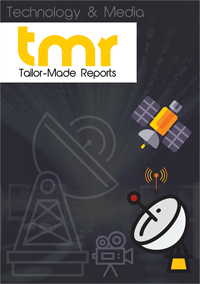 Geographically, the analyst of this report has gauged the potential of demand that is exhibited by every important region and country including the U.S., China, India, France, Germany, Canada, and the U.K. This report is an in-depth analysis of all factors that will influence the demand for KOL management in the near future, such as improving healthcare infrastructure across emerging economies, growing competition among pharmaceutical companies, and government regulation. Apart from drivers, restraints, trends, and opportunities have also been discussed in this report which has been developed to act as a reliable business tool for its intended audiences. This report on the global key opinion leader management market is a comprehensive market intelligence study that brings forth the lucrativeness of the said market. Beginning with an executive summary that comprise a snapshot of how the demand for key opinion leader management has evolved over the recent past and where is it headed to in the future, the report delves into the analysis of various market dynamics, such as opportunities, trends, challenges, and drivers. A detailed overview of the said market with the analysis of porter’s five forces has been provided in a bid to present a concise and clear landscape of the market vendors to the readers. The market intelligence study also points at mergers, important conglomerates, numerous research and development activities, acquisitions, and corroborations. The said publication allows market stakeholders to study the market in detail and carefully and take well-informed decisions so as to optimize profit and minimize cost. The world market for key opinion leader management is expected to grow at a robust CAGR and is anticipated to attain a significant market valuation by the end of the period of forecast. The key opinion leader management has transformed itself into an individual business discipline which is very much same as the CRM. Key opinion leader management could be regarded as a very significant component in the process of marketing. In the global, regional and country level, the companies come with an experience about the improved adoption and influence that is acquired through management of the relationships of the key opinion leader in a very efficient and effective manner so that the company product and the market expand in the near future. Popular key opinion leaders are usually come expensive and in the healthcare sector, the key opinion leader management is quite challenging. Key opinion leader physicians that are quite famous are most of the time over-marketed to by many of the sources. Implementation of various laws such as Sunshine Act limits large payments to physician key opinion leaders and it requires transparency. With the assistance of key opinion leaders, critical decisions pertaining to drug prescriptions for the patients can be done, as the key opinion leader physicians make suggestions on the specific drugs which are entirely based on their knowledge. The market vendors have been forecasted to obtain new opportunities as there has been an increased emphasis on spending more on the work of research and development by many of the fragrance manufacturing companies thereby expected to drive further growth of the world market for key opinion leader management industry. In addition to that, many of the market participants are anticipated to make a foray into the emerging economies that are yet to be explored so as to find new opportunities. The geographical segmentation of the global key opinion leader management market is diversified into Western Europe, Eastern Europe, Latin America, North America, the Middle East and Africa, and Asia Pacific. Owing to various reasons, the medical organizations in many of the developed countries such as North America and Western Europe have started heavily depending on the key opinion leaders in a bid to widen their knowledge about the drugs and also to develop their markets comprising all the stages of life-cycle management. A few leading players that are operating in the world market for key opinion leader management market comprise Reltio, Genpact Limited, Saama Technologies, key opinion leader, LLC, Cognizant, and many others.